Alternative currencies have a certain mystery about them. They are seen as sort of an “underground” currency because they are not controlled by some central authority like a bank or government. Instead, they are controlled by peers who engage in transactions and/or “mining,” which is the term for keeping the ledgers. In a block-chain environment, every transaction is recorded with a finite number of coins in circulation, and many (in some instances all) of the peers have access to that ledger, to prevent fraud. The use of cryptography for complete security and privacy is another element that increases the aura of mystery. In reality, alternative currencies operate on pretty simple principles of buying selling and investing. Even a few web-based e-commerce sites, like Overstock.com, now accept Bitcoin. It’s just that no government is involved. That in itself can arouse some suspicion, but Bitcoin, the oldest and most well-known alt currency, has been around long enough now that much of the suspicion has dissipated. But now the competition has arrived, and a good number of alt currencies are now in full swing, and investors have many options. Investing in cryptocurrencies is risky, of course, but many see the long-term rise of Bitcoin value ($428.23 for 1Btc) as a sign that other fledgling alt currencies might do likewise. This entire industry has not been without controversy in recent years. One Bitcoin miner has just been charged with running a Ponzi scheme, another may have absconded with investors’ money, claiming that he had been hacked, and an Australian firm admits it doesn’t have enough money to payout investors who want out. Still, the “good guys” outweigh the bad guys, and alternative currencies will continue to challenge Bitcoin’s market edge. 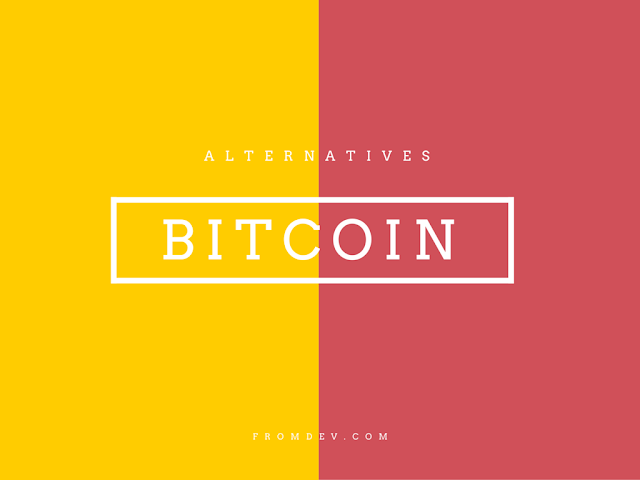 Here are 10 alternative to Bitcoin that bear watching. Like any risky investment, the best advice is to not speculate with money you cannot afford to lose, but picking one or two that grow well could land a pretty good ROI. This currency was introduced in the fall of 2011 and has a supply of 45,318,271, at a current price per unit $3.27. Built upon the same model as Bitcoin, Litecoin’s differences include making mining cheaper and the whole system more democratic. It uses a different cryptography – one that can be decoded using consumer-grade chips. Introduced in the summer of 2012, this coin is not priced at $ .423 per unit. There supply is now 23,099,427. It too is built on the same protocols as Bitcoin, but uses a proof-of-stake rather than a proof-of-work system to verify mined coins. The concept here is that the more coins you have, the greater is your chance to mine more coins. There is no maximmum limit of coins with this currency which makes in inflationary. With a price of $ .425, some investors are watching this one carefully. The price per unit was close to $3.00 at one time, and this currency may be poised for a comeback. Currently, the supply is 14,049,950. Originally introduced in April, 2011, Namecoin was not designed as a currency, but, rather to control an alternative domain – “.bit.” By doing so, alternative currencies can have their own websites outside of the control of the Internet Corporation for Assigned Names and Numbers. The sites therefore face no censorship. For investors focused on security, this is definitely an option. While Bitcoin and most other currencies have one round of hashing - Quark has 9. But, coins can be mined on any CPU, so no advanced hardware is necessary – very democratic. Current supply of QRK’s is 249,974,433 and there is not a hard cap on that supply. It is virtually one of the cheapest - $ .0039 per unit as of April 12, but it is experiencing a small daily rise. Primecoin was introduced in the summer, 2013, and its price has dipped since then, as have all alt currencies. Today, it is priced at $ .082 with a supply of 14,086,017. The main difference in Primecoin is that it uses a cryptography of Cunningham chains – long sequences of prime numbers – as opposed to hashes. Another 2013 launch, Novacoin is really a fork of Peercoin. As such is uses the same hybrid POW/POS system. It also uses script hashing, like Litecoin. Its POS difficulty is higher than that of Peercoin, and it has a hard cap at 2 billion. Currently, the supply is 1, 348,168, so it is doubtful that the 2 billion will be reached anytime soon. Current price is $ .79/unit. At one time the unit price was close to $10.00. Still, this little player improves in price almost daily. Feathercoin was at its peak when it was introduced in spring, 2013, which was about $ .20/unit. Currently, it sits at $ .0070 with a supply of 148,407,000. It was borne out of Litecoin and so is very similar but for a few things. It adjusts the difficulty of its mining more frequently, and has also incorporated Advanced Checkpointing as an additional security measure from attacks. A summer, 2013 launch of Zetacoin began with a unit price of about $ .03. Though it is currently priced at $ .0029 with a total supply of 163,970,520, it has been on a rather steady increase in recent weeks. It is widely known for its rapid transaction rate, a good 20X that of Bitcoin. Zetacoin is inflationary which means that there is no hard cap on units. The most important feature of Digitalcoin is that a number of e-commerce businesses accept it as payment. It, too, was launched as another derivative of Litecoin and it is also more stable, as is Litecoin. The stability has not borne out, however, as its chart clearly shows. Currently, there is a supply of 31,820,563 units priced at $ .0159 per. It has also recently been on an upswing, probably because it is respected by vendors. Launched in August, 2011, this currency is an exact clone of Bitcoin. With 20,999,088 units, it is priced at $ .025 per. It is undifferentiated from Bitcoin except that its transaction speed is only 10 minutes. Ixcoin’s chart indicates a higher spike that most other alt currencies right now. There are over 100 alternate currencies right now, most based upon the same philosophy that governments should be out of the currency picture. Investors who bought on the bubble a few years ago lost a great deal. Despite the recent bad publicity about scams and unscrupulous miners, there are new safeguards being put in place by each currency, in an effort to restore their reputation. As stated above, investing in these, if you can pick the right one(s), could bring great profits. Great profit, of course, come with great risk. If you are not fully versed in alternative currencies, you would be wise to engage in some self-education before diving in. Nicole Boyer is young graphic/web designer and also contributing blogger for several websites. She is also tech-savvy and eager to learn new. You can connect with her via Twitter or her blog.